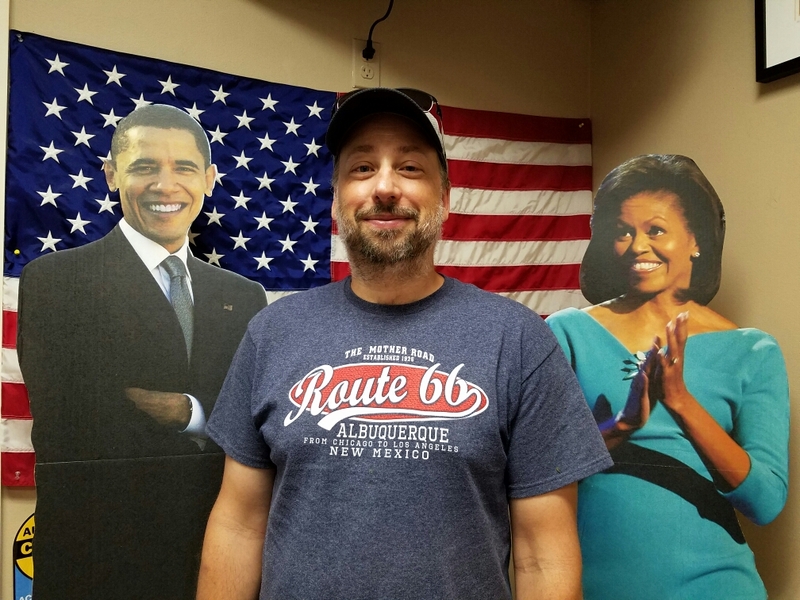 Washington DC – Live MoHo! 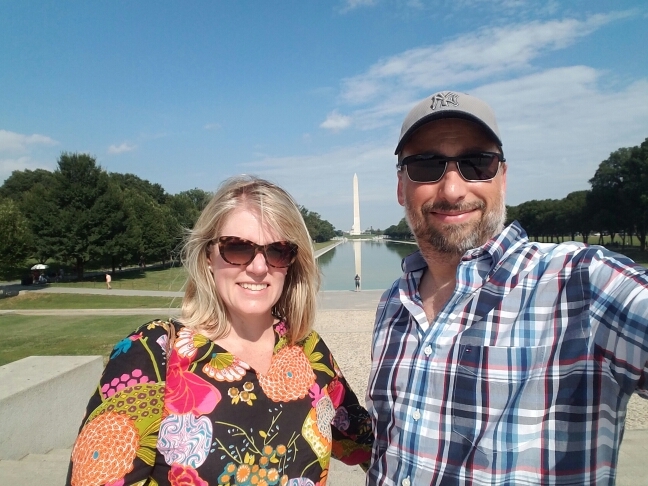 Today we made the drive from Norfolk up to the North side of Washington DC. It was only a drive of 108 miles, but I wanted to allow for 3 hours given the inevitable traffic around Washington DC. Sure enough, traffic was awful. We tried to time our arrival so we would be travelling mid-day to avoid any morning or afternoon commuter traffic. In spite of this, as we pulled onto the Beltway at 2pm, we picked up heavy traffic. I can only imagine how bad it was an hour later. It took us another hour to go 20 miles. 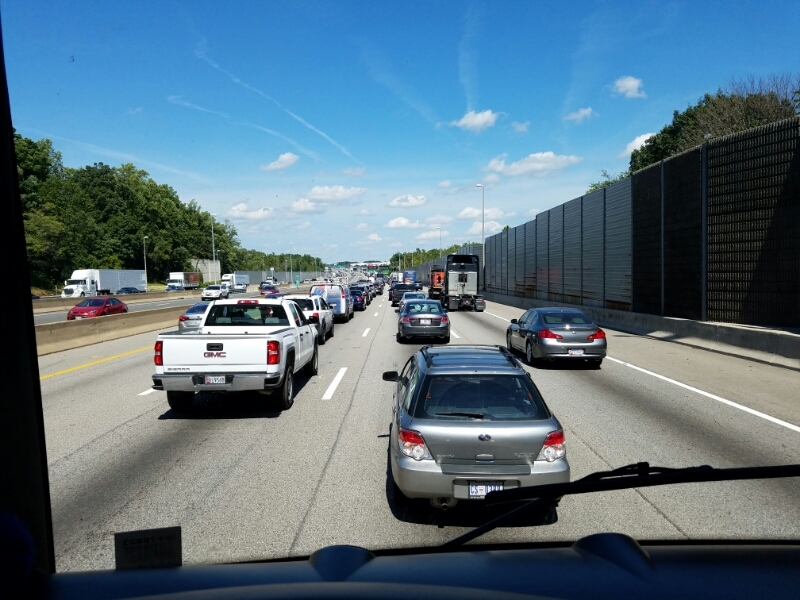 Driving a 57′ long vehicle in this traffic isn’t as hard as you might think. Bumper to bumper is not the worst possible scenario. At those speeds, nobody is doing anything fast. No sudden lane changes, no panic stops. It is when traffic is moving at around 25mph that it seems most difficult to drive. MoHos do not stop on a dime, and if you try every one of your possessions goes flying. Of course, for that reason in a big rig you try to keep some space between you and the car in front of you. You know, in case they slam on their brakes, you have some room to stop 33,000 lbs of rolling iron. But every jackass who sees that space in front decides they need to dart into the gap. 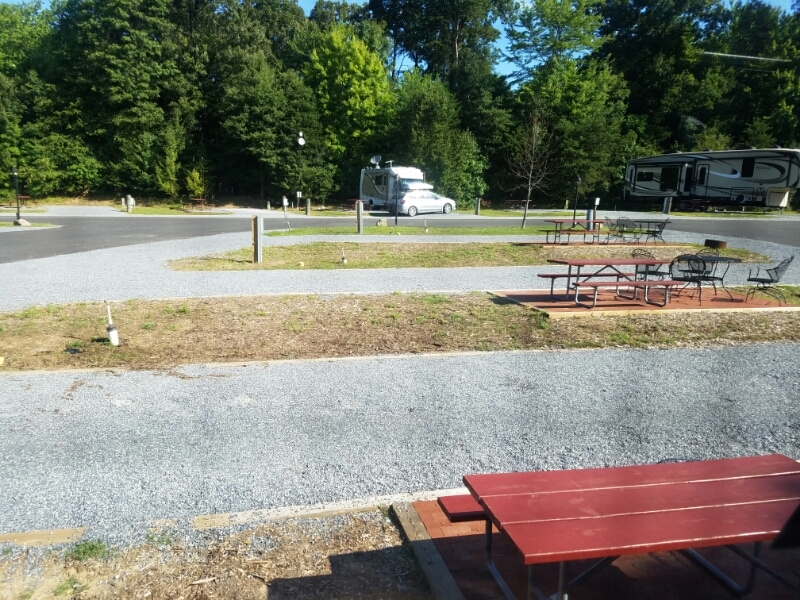 It takes more than some traffic to stop us, and we arrived in one piece and checked into the Cherry Hill RV resort. It truly is a resort, being on 450 acres of former farmland. Cherry Hill has been operating since the 1960s and caters to everything from big rigs like ours to tent campers! Most impressive (to me) was the WiFi which was a steady 4mb/sec! That’s the best we’ve seen in over 23 campgrounds and over 6 months of travel. If you find yourself in the Washington DC area, check this place out. At $83 a night it is far from cheap, but that rate isn’t completely unreasonable given the proximity to Washington DC. We also scored 2 more stickers on our map. Maryland and DC. 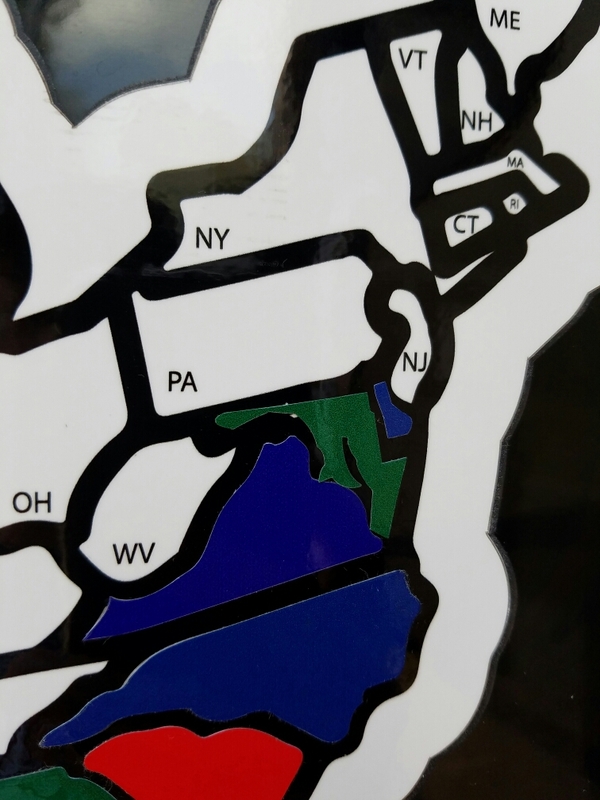 The sticker company seems to have confused DC with Delaware. The President and first lady were waiting to greet us as we checked in! As they should. I probably should have dressed up a little, but whatever. LOL. 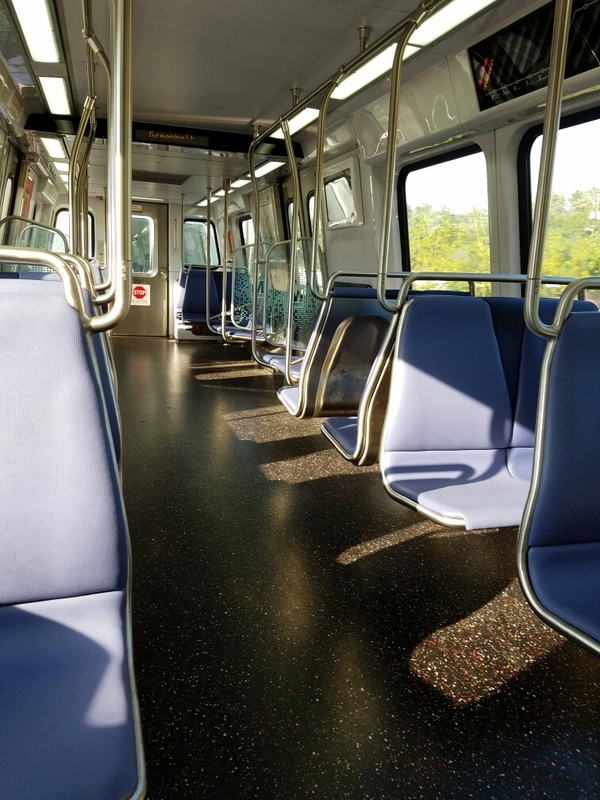 Cherry Hill is one stop away from the Greenbelt station on the Green line. Its a commuter stop with a huge (yuge?) parking lot. We parked here for only $5.10 daily rate and could take the metro into downtown Washington DC. The Washington DC metro is really nice! Clean, spacious, and not very crowded. Its more expensive than NYC subway, but there just isn’t any comparison. NYC should charge an extra $1 per ride and clean the stations. Seriously. Some of the NYC station have not been cleaned since Kennedy was president. I am not making that up. Its true. We exited the metroat L’Enfant plaza near the National Mall and Smithsonian complex. The Smithsonians are so big and so impressive that we could have easily spent 8 hours a day for a week and not seen them all. I really wanted to see the Air and Space museum. 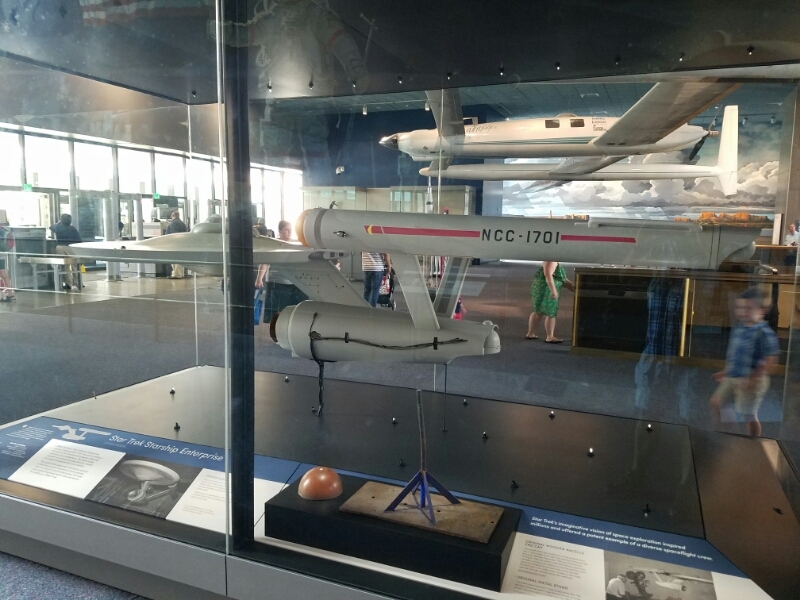 As we walked in, we saw the model for the USS Enterprise that was used during the Star Trek TV series. Look closely. You can see the electrical wiring for the lights that were inside the model. This is the backside that the cameras never showed. The Air and Space museum has some truly impressive artifacts. A German V-1 “buzz bomb” hangs over a series of rockets and sits just to the side of a full-size Skylab model. We walked inside Skylab and it was so cool to see! I could have taken hundreds of photos, but honestly the Air and Space museum is documented online and you can even take a virtual tour. Suffice it to say it was impressive. A few items stood out though. 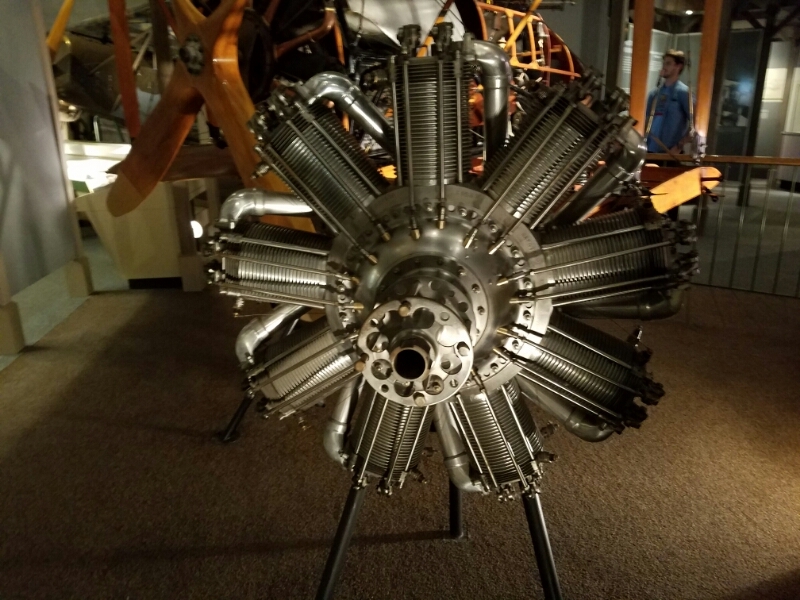 One was this WWI Bently BR-2 rotary airplane engine. While it was the high-tech engine of its day, being made of aluminum cylinders and very powerful It was lubricated with castor oil. Due to the sloppy manufacturing tolerances of the time, it spewed castor oil all over the pilots. Flying this meant living in a constant state of severe diarrhea and vomiting. Kind of like being forced to eat a steady diet of school lunches. 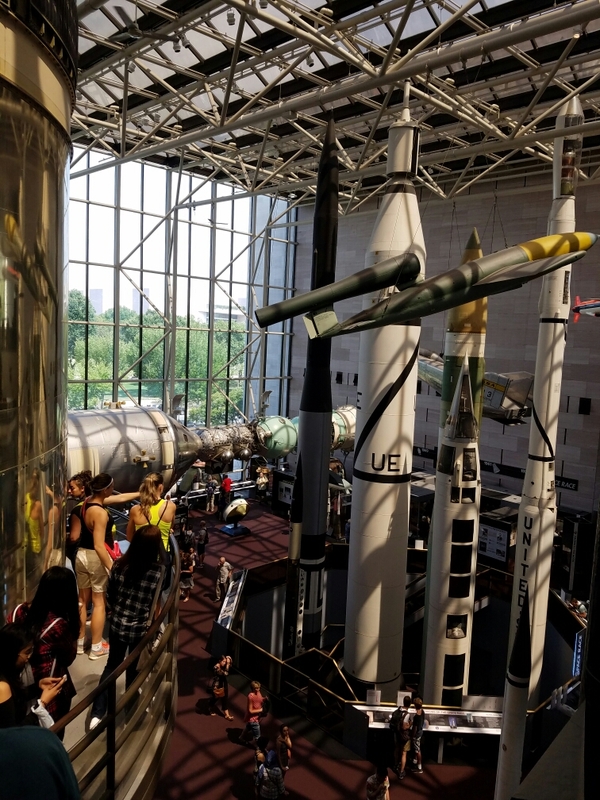 From the Air and Space museum, we walked down the mall toward the Washington Monument. It is as impressive as ever. Unfortunately it is also closed. The earthquake of 2011 did extensive damage to the monument and the elevators, which are quite old, have never really worked properly since. New elevators are being installed, but they are not in place yet. It is truly impressive, being the worlds largest stone monument and the world’s tallest obelisk. From the monument, we walked toward the white house. 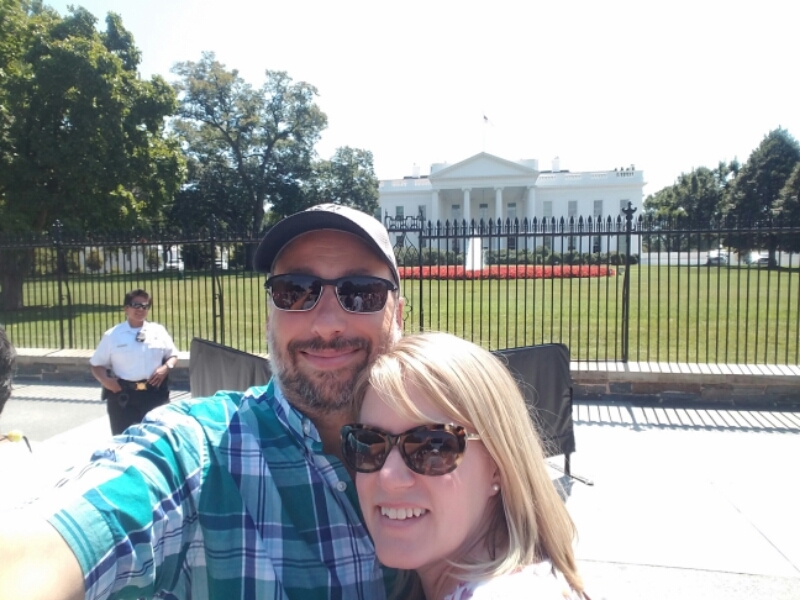 We actually walked around the “back” of the house which is closes to the national mall. We saw the front the next day, which is why we are wearing different shirts in these two photos. The White House is both super iconic and smaller than I would have thought. Vistors are no longer allowed to go up to the fence, probably because of the crazy fence jumper last year. 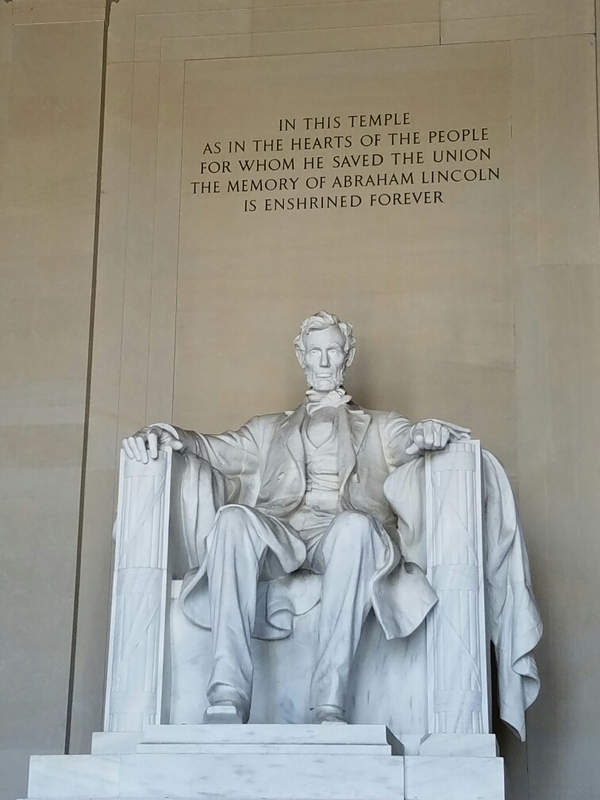 We continued walking and made our way to the Lincoln Memorial. 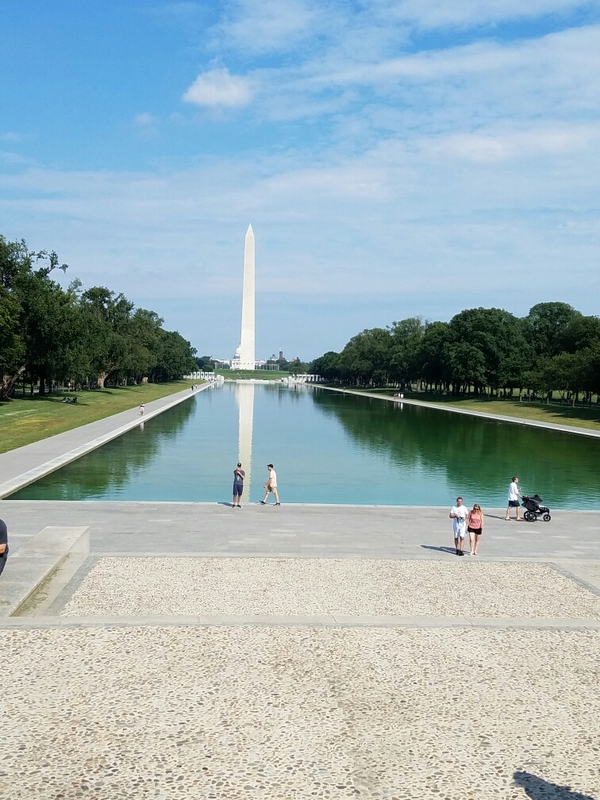 It is an iconic place with an iconic view of the National Mall. 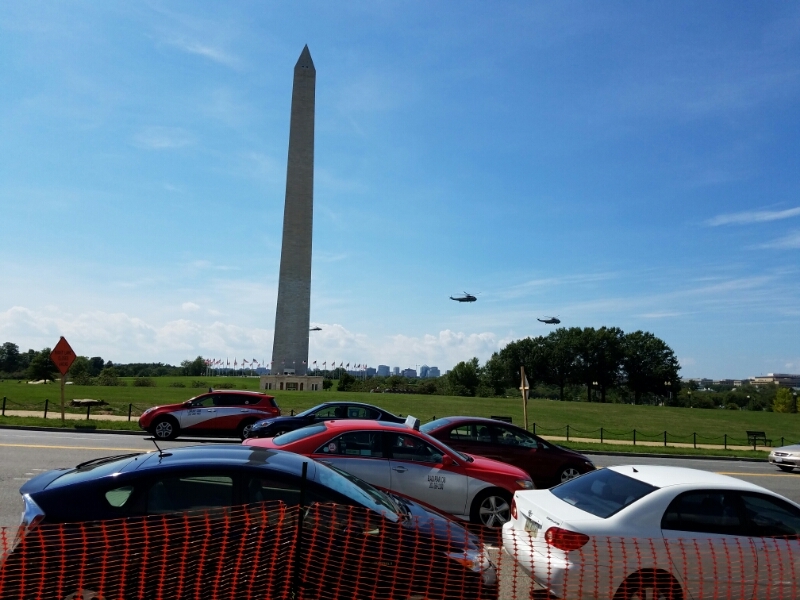 On our way back we saw three helicopters pass the Washington Monument and head for the White House. I wonder if the President was on one of them? 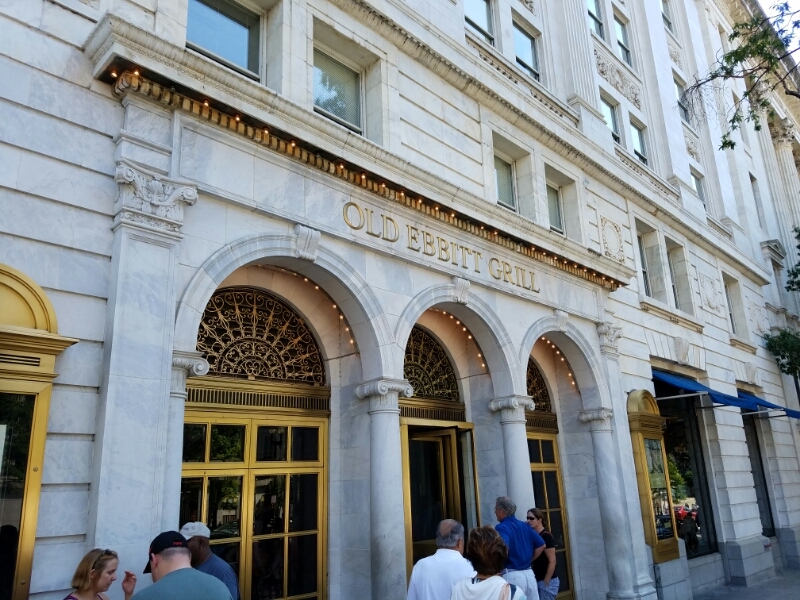 We couldn’t leave DC without lunch at Old Ebbitt Grill. Its been around since 1856. Presidents Ulyses S. Grant, Taft, Jackson, and Roosevelt all drank at its bar. 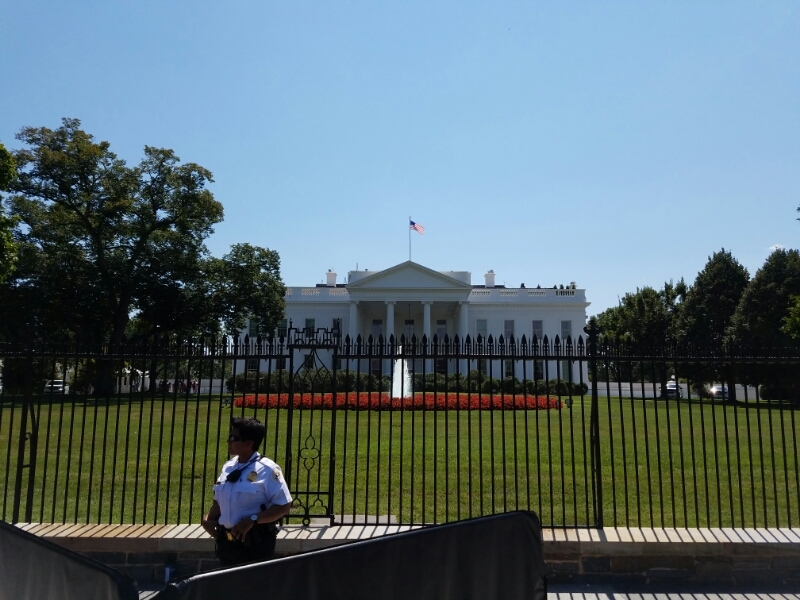 The place is an icon of Washington, and being across the street from the White House its easy to see why. 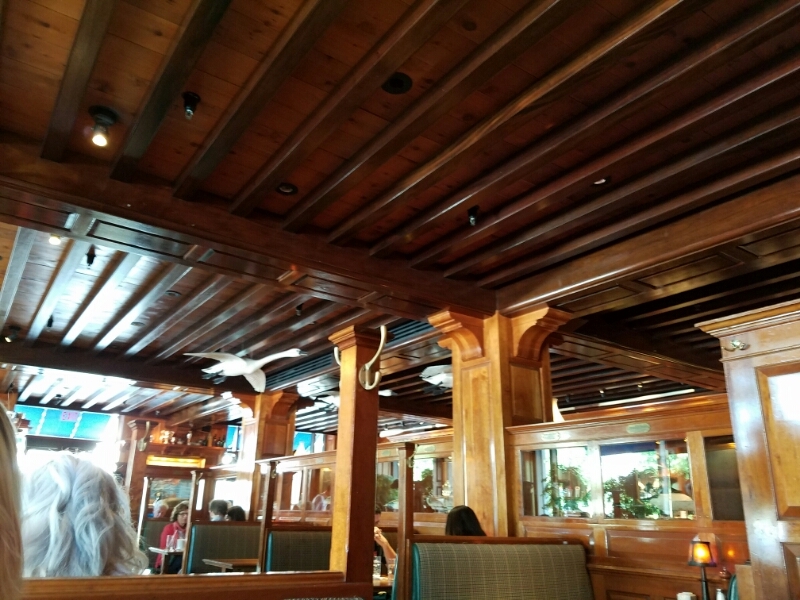 The interior of Old Ebbitt is classic Washington DC. Dark wood everywhere, brass fixtures, and large paintings decorating the walls. Its a trip! From Old Ebbitt, we jumped on the Old Town Trolley. It takes a path through DC itself. For a few extra sheckles, you can take the extension through Foggy Bottom, Georgetown, and the National Cathedral. We took that and it was well worth the extra money. 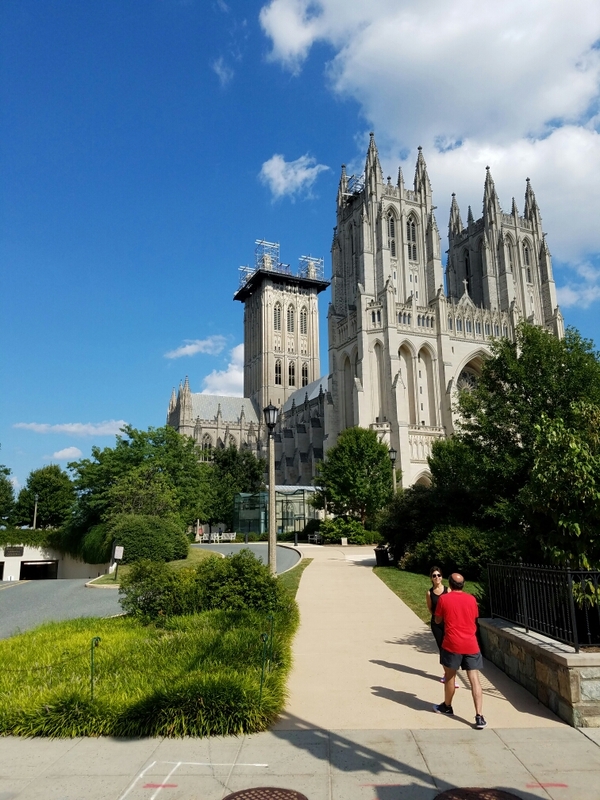 The National Cathedral is huge. Easily the match for the cathedrals in the UK like Salisbury and York. We had only 3 days in DC. Not nearly enough. We could have spent a week just looking at the Smithsonian museums. DC is also much larger than I expected, particularly when including Georgetown and other nearby areas. Both of us really liked the area. One benefit of travelling at this time of year is that the campgrounds aren’t very full. We had most of the back area to ourselves. 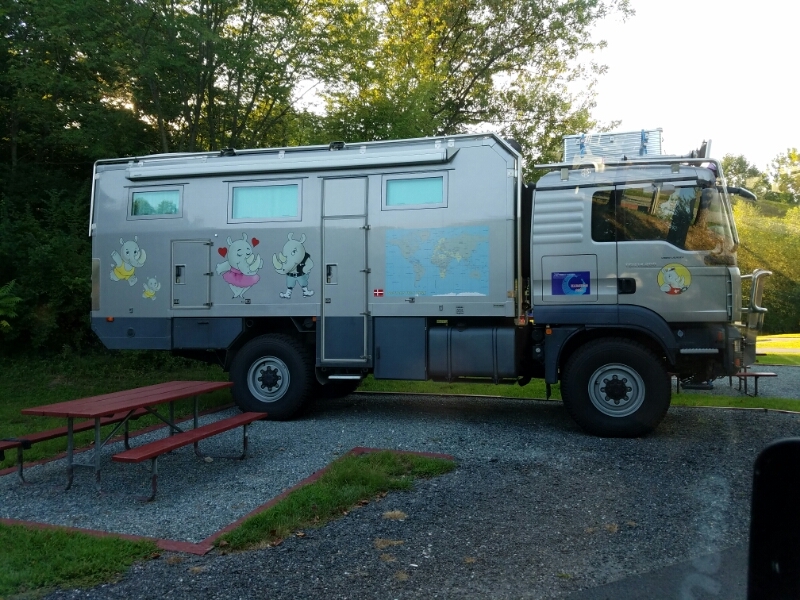 We saw this beast parked in the campground. Every day we drove past it but never saw its owners. It wasn’t looked up to the electric, water, or sewer so it may have been stored. A closer look at the map showed it has been all over the world! I’m guessing it is 4 people, judging from the rhinos on the sides. If Elliot Trevino ever gets an RV, I’m pretty sure it will look like this! Next Next post: Mop and Glo-No!